Biography - Law Office of Lange Clark, P.C. Law Office of Lange Clark, P.C. Lange Clark is a litigator focusing on complex litigation with experience in securities, anti-trust, business, consumer finance and international litigation. Mr. Clark has practiced law for more than two decades and founded the Law Office of Lange Clark, P.C. in July 1997. He received his undergraduate degree from the University of Alabama in 1981 and his law degree from Cumberland School of Law in 1984. Mr. Clark has been deeply involved in the BP Deepwater Horizon Oil Spill litigation since 2010 and served on the Vessels of Opportunity committee. He has been chosen to represent the Associated General Contractors of Alabama in the BP litigation, and has filed successful claims for AGC and other businesses. Mr. Clark is a long time resident of Birmingham, Alabama and has been married to Molly Pearce Clark since 1986. He and his wife have three daughters. Mr. Clark is a member of St. Luke’s Church in Birmingham. Practice Areas:Commercial, securities, class action, antitrust litigation and private international law. 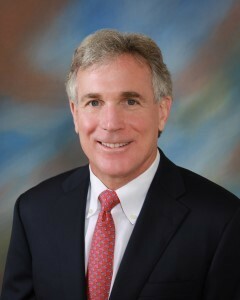 Admitted: Alabama bar (1984), U.S. District Courts for the Northern (1984), Middle (1998) and Southern (1999) Districts of Alabama, U.S. Court of Claims (1998), U.S. Court of Appeals, Eleventh Circuit (1995). Member: Birmingham and Alabama Bar Associations. Served on numerous committees of the Birmingham Bar Association. Birmingham Inns of Court. Law School: Cumberland School of Law, J.D., 1984. College: University of Alabama, B.A., 1981. Bess, et al. v. Payday Now, et al, In the U.S.D.C. for the Northern District of Alabama. © 2019 Law Office of Lange Clark, P.C.